Wait a minute. If Misaka could use her powers when she was still poisoned, why didn't she just zap Aritomi after he broke Febri's cure-thingy? And how would that help? Plus, you have to remember that she started using her powers after she fainted, meaning time passed along with the weakening of the formula. But we'll never know what happened to Shinobu if they did that! This was a good episode by my standards. It could have been done much better, like portraying the main villains as more sympathetic, for one. They're much too generic, but it's not really that big of a deal. I'm not too concerned with the lore behind all of this, but I think this arc has been doing very well to provide some much needed closure for the Sisters arc. I feel that this was one of the things sorely lacking as I read through the Railgun manga. Here, Misaka learns to trust in her friends more and place herself on equal footing with them. Kuroko bringing out the four-leaf clover from the earlier episode was a nice touch. It's not an original development by any means, but something like this was a necessary step to move her character forward. You could say that I'm in this more for the character growth and drama than the actual action, but then Railgun has always been that sort or series. The problem here is, Misaka has yet to do that months later after Sisters Arc. So there is inconsistencies on her character. That still isn't a part of the current narrative, is it? So it's no problem. Given how much this adaptation has impressed me thus far, I'm effectively looking at this as something distinct from its source material. If some future adaptation screws up and causes it to be inconsistent, I'll judge that one. For now, I like what I'm seeing. lol, why is Saten even there? Has she done anything this whole arc while everyone was helping other than the babysit? She had a bat and was a temporary mom. The problem is that doing that is a step down for Misaka. She's having to lower herself (or the narrative is lowering her capabilities) to their level. Who cares about Shinobu, though? I... don't know. I'd rather have last remaining episodes dedicated to SoL rather than watch this. It's so generic that I don't even know how to feel about this arc after wonderful Sisters' Arc adaptation. Just end this on this week already, dammit. The story makes it a point to show that despite the level gap, her friends are still capable of doing something to contribute. Just the fact that she was able to tell them the entire situation already shows huge character growth on her part. I haven't seen any case of her literally lowering her abilities just to stand alongside them anyway. I... don't know. I'd rather have last remaining episodes dedicated to SoL rather than watch this. Well, I'd agree with this since we've already seen that this studio can do some good SoL material (I use the term liberally here), but I just can't see this arc as horrible like of lot of the people here seem to be saying. Yes, the villain and the whole set up is uninspired, but the character drama beneath, plus its tie up with the previous arc, gives it a decent amount of value. That said, it's not like this show is particularly good at SoL or character drama either. I just know and appreciate what it wants to do with its characters. I've never really held a high opinion of the plots of Index or Railgun to begin with. Last edited by Qilin; 2013-09-24 at 09:32. Anyway, this episode was excellent. If I view this while forgetting the original material then it definitely becomes enjoyable. In the end, since we are stuck with this I feel personally like we should just enjoy it for what it is. In the end, this isn't done so badly. I don't know. Forgetting LAC, even then this has been fairly mediocre compared to the canon. You mean if Railgun S ended at Episode 16? 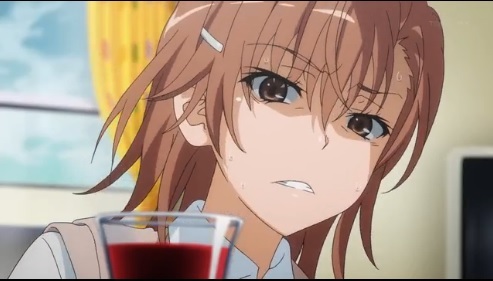 If Railgun S ended in Episode 16, we'd have an anime series that is as short as the BRS anime series. And we all know how it suffered pacing-wise. I agree. I don't think they should suddenly drop the 2-cour standard. I prefer this since it keeps Toaru going. Its a problem because it feels forced. When a character's capabilities have to be cut on half in order to allow another character or group of characters to be useful, it creates narrative problems and people begin to question why didn't Misaka do x or y instead. Its the same with Anti-Skill. The situation as presented there is like saying the American Military wouldn't step in to stop a terrorist threat because the company that supplies their weapons doesn't want them to. In order to facilitate Misaka asking her friends for help, everyone else has to become half as competent. And as for the villains? They're cringe worthy. I'd feel more threatened if Team Rocket were the bad guys. Last edited by Ashaman; 2013-09-24 at 04:40. Antiskills are always incompetent. It does not matter if it is Index / Railgun Anime, PSP Game or Movie. This is just like saying that because of having to ask for her friends, Mikoto have also become half competent. Saten, Uiharu, Kuroko nor Kongo have done absolutely nothing important yet to really contribute to the story. Everything important was done by Mikoto alone. She even gets to deal with the bad guys at the end by herself. Everything they practically do are beating the robots so Mikoto can save Febli. If they suddenly dissapeared, then nothing would have changed. So I think blaming this on them is quite wrong.